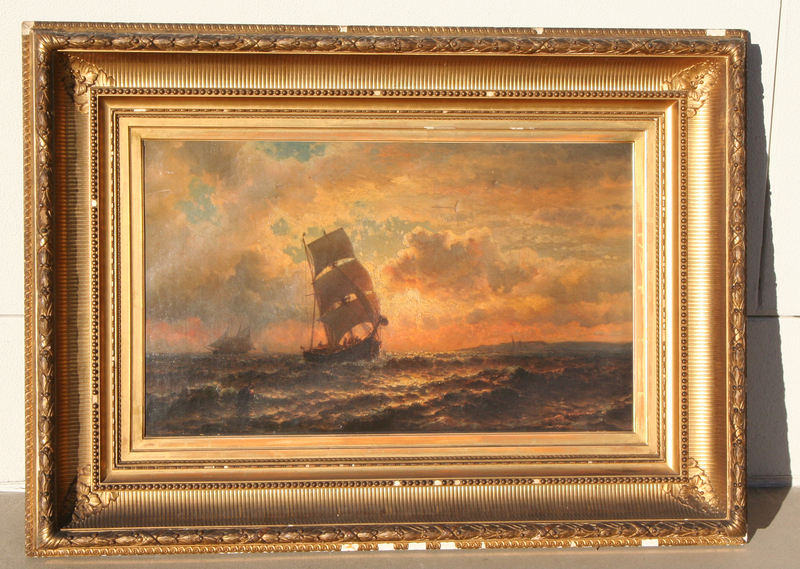 This is picture of ships has been in my family for a long time. 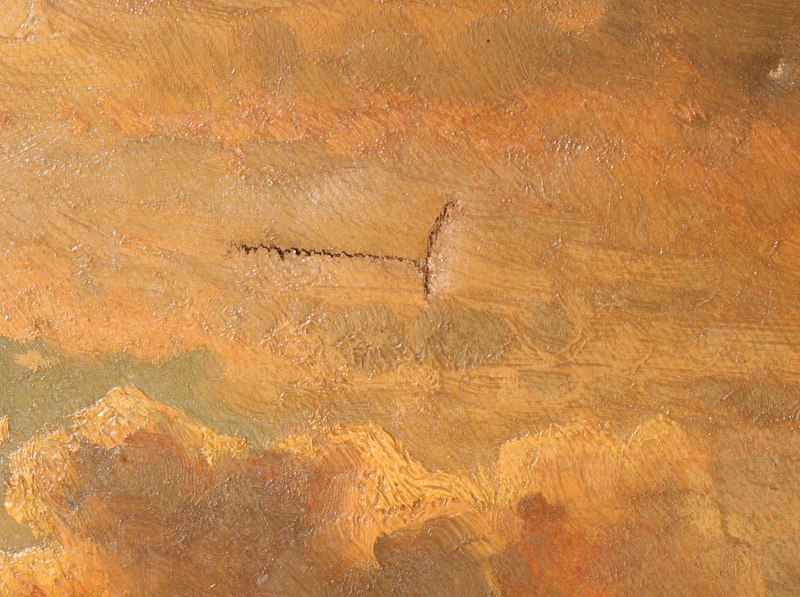 My father was born in 1933 and the painting was in the house when he grew up. Either scroll down for more details, or go directly to the lion. 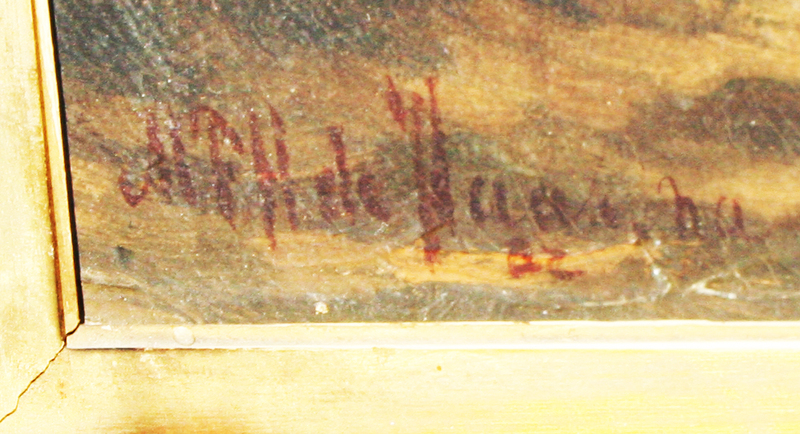 An attempt to make out the signature on the ship painting. 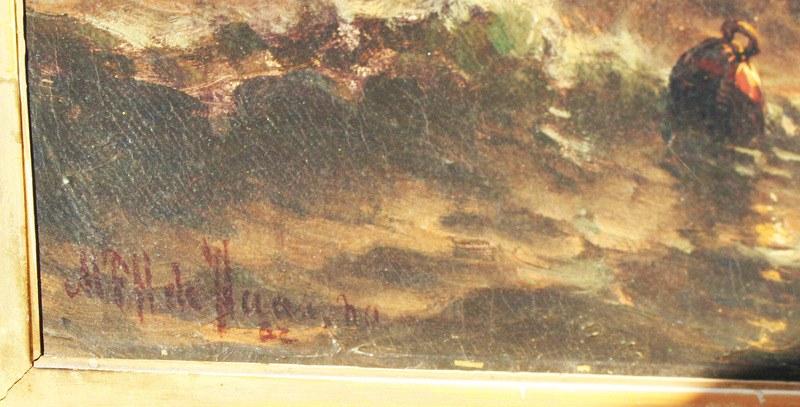 Another attempt to understand the signature on the ship painting. Could this be Mauritz Frederick Hendrick deHaas? 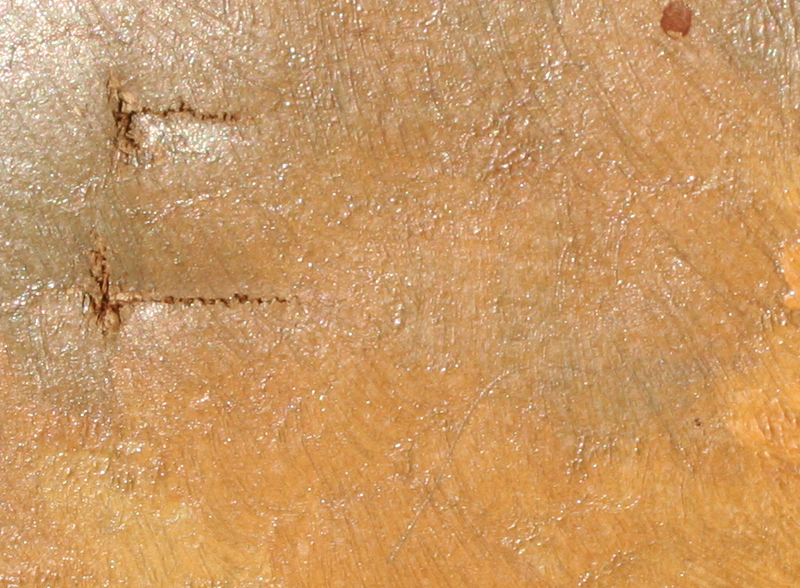 Painting of ships has three wounds. My father says he does not know how they got there and were there since he was a child in 1933. 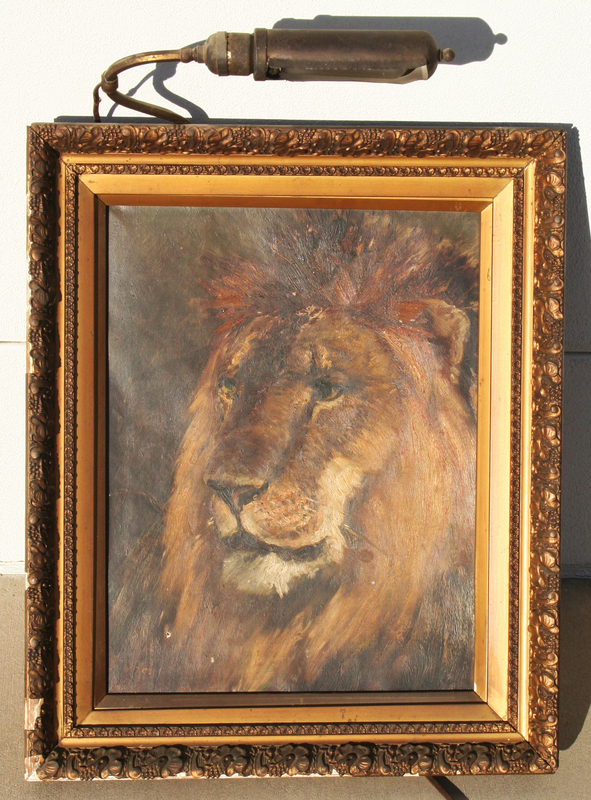 Painting of lion has been in family at least since my father was born (1933) as far as he knows. 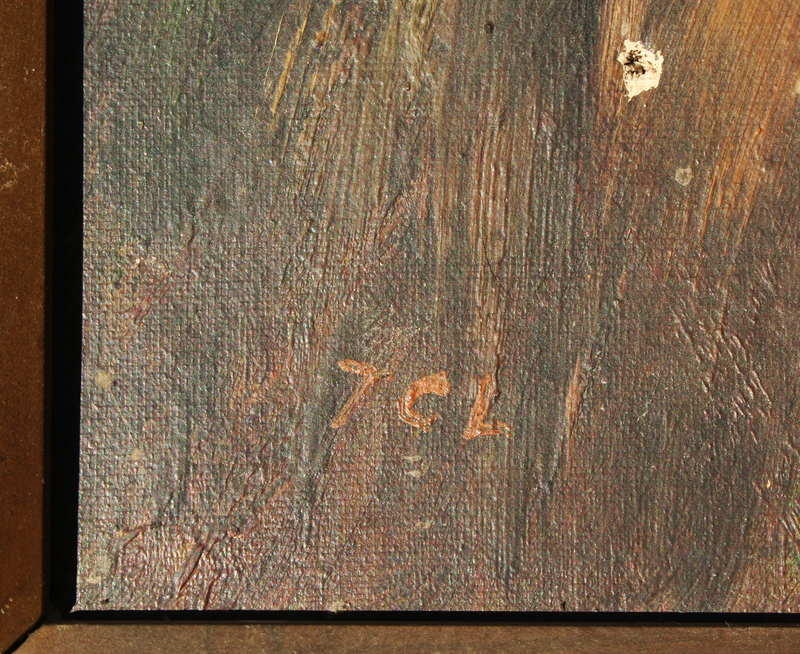 An attempt to understand the signature on the lion painting. T.C.L.? Could this be Thomas Corwin Lindsay? Back to top of page. Back to Lion.